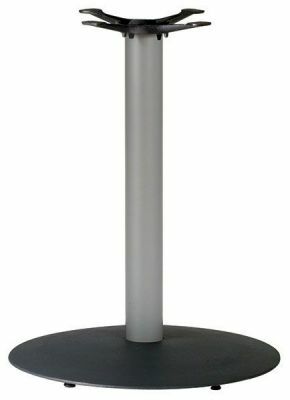 Cafe tables with a round powder coated column in a Silver finish. Large cast iron foot. Takes table tops up to a maximum size of 900mm diameter. Available for a free and fast delivery. 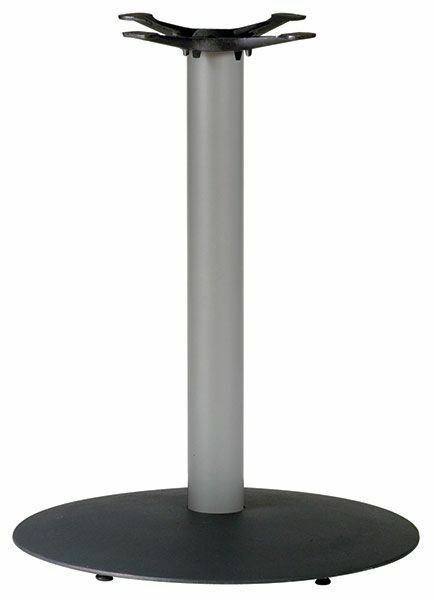 A multipurpose café table base at a cost effective price, able to support extra large café table tops. Includes small rubber feet for added stability.